The Digital Manufacturing and Design Innovation Institute has been on our radar for quite some time. And it’s no accident – DMDII (a public-private partnership) is working to answer questions that the manufacturing industry is struggling with. 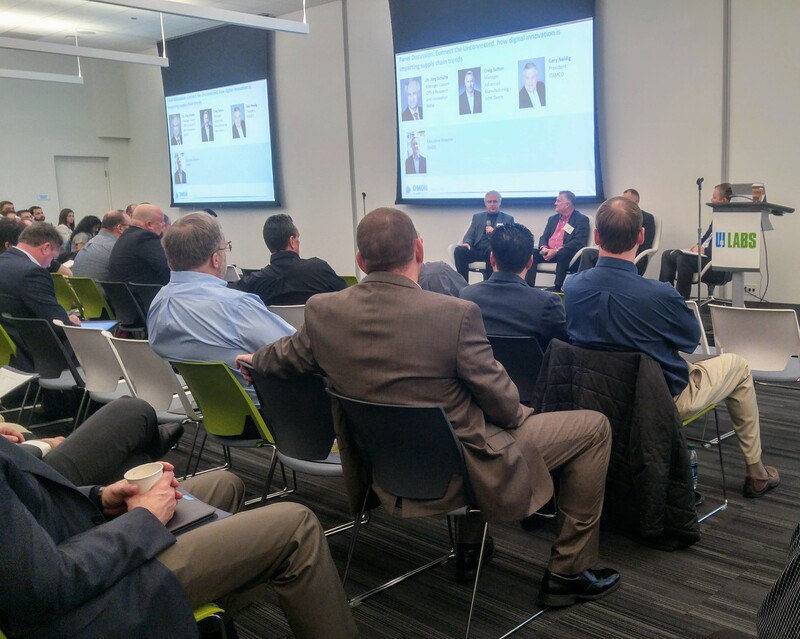 We visited DMDII at UI Labs for their “Digital Disruption Workshop” event. 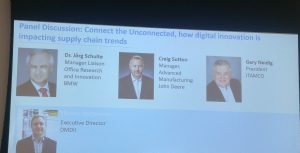 This event and workshop focused on how changes and innovation in digital manufacturing could disrupt existing processes and assumptions in the manufacturing industry. 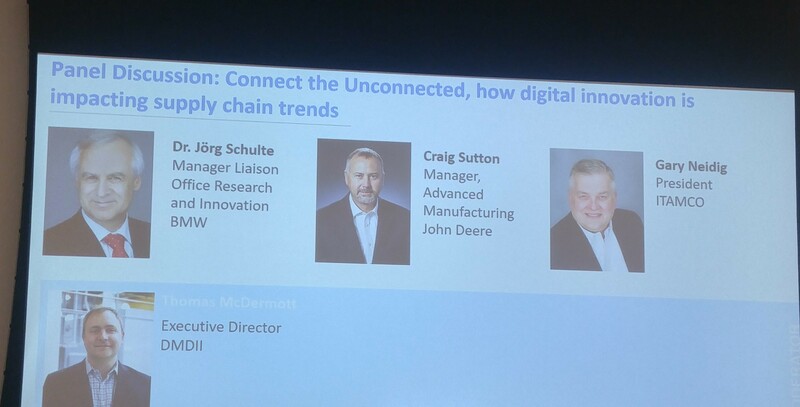 The event opened with a panel featuring executives from John Deere, BMW, and ITAMCO. The topics discussed on the panel – 3D printing, virtual reality, digital manufacturing – are topics that I am familiar with. But as someone relative new to the manufacturing industry, I was shocked to see how absolutely disruptive some of the newer trends in manufacturing will be. Take, for example, the disruption that electric vehicles will cause. Suddenly, the automotive industry will move from internal combustion engines (which require hundreds of different parts) to electrical engines, requiring comparatively fewer parts. How will OEMs and suppliers deal with these changes? I do not know, and neither did the panelists – but I was glad to see that these topics were being discussed vigorously by both the panelists and the audience. After the panel we had a chance to explore the factory floor, visiting companies like Vision Three and Light Guide Systems. 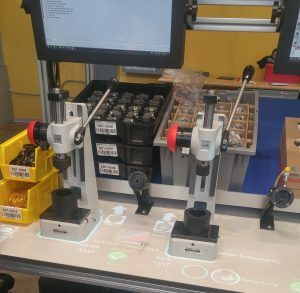 The companies we saw are working on technologies related to digital manufacturing. We worked with Autodesk. 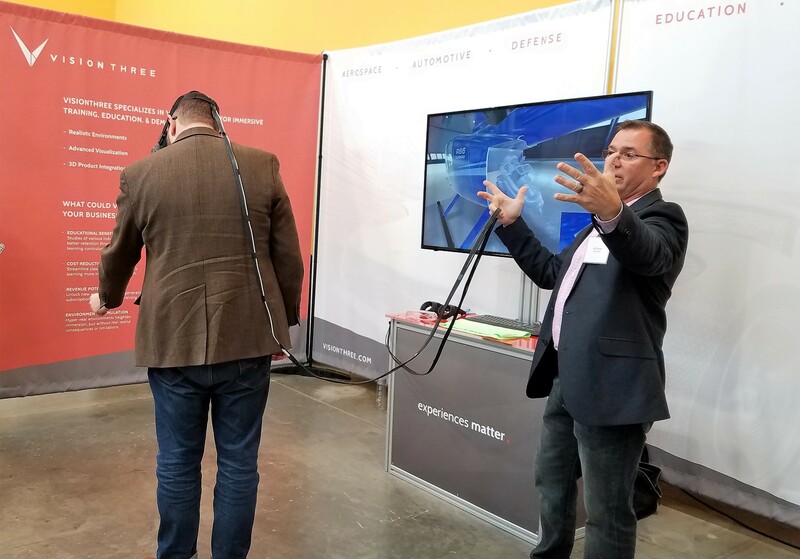 We saw how augmented reality can speed up the manufacturing line and identify bottlenecks. We learned about the direction that wearable technology is moving. And I had a chance to test a virtual reality system that helps manufacturers train employees. Having never visited UI Labs or DMDII before, I felt that I learned a lot in our 6-hour visit. The amount of partnerships and genuine collaborative research and work being done through UI Labs impressed me. I would recommend a visit to their website to browse around. At the very least, manufacturers and those adjacent to manufacturing may find some interesting research and news. At best, you may find an opportunity to work with UI Labs in Chicago! Be sure to follow us on LinkedIn, where we continually share news and opportunities in the fields of international business, Chicago, manufacturing, software, and more.